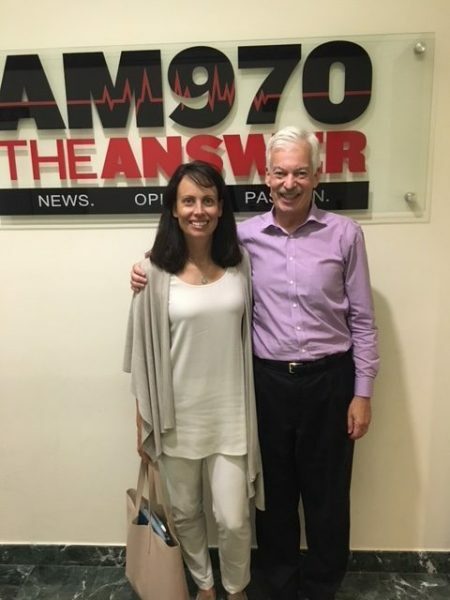 The following is a conversation between Jacquelline Fuller, President of Google.org, and Denver Frederick, Host of The Business of Giving on AM 970 The Answer in New York City. Denver: One company that everyone is just fascinated by is Google. What is their business model? What’s the secret of being so innovative? And how have they created such a fabulous workplace culture? Equally fascinating is their philanthropy and their approach to addressing some of the world’s most vexing social problems. We’re fortunate to have with us this evening, the President of Google.org, Jacquelline Fuller. Good evening, Jacquelline, and welcome to The Business of Giving. Jacquelline: It’s great to be here. Thanks, Denver. Denver: Before we dig into the specifics of what Google.org supports and the social changes that you’re seeking to cause, provide listeners with a brief overview of Google.org, your philosophy and approach to philanthropy. Jacquelline: Google.org is part of Google. We’re Google’s philanthropy. We’re a team at Google, and the idea is to think about how can we use the best of Google. How can we bring the best of who we are as a technology company, with 80,000 employees, and make the most difference possible for some of these big challenges you were mentioning? Denver: So much of your leadership at Google.org has been informed by what preceded it. If it’s okay, I want to take a look back and understand some of those influences. Your father was a diplomat. You grew up overseas, some in Germany, some in the Soviet Union, and you had designs on a career in international relations, specifically arms control. What caused you to pivot from that to philanthropy and helping those less fortunate? Jacquelline: I’ve always been interested in human relations and policy. Arms control is particularly interesting because at that time, I thought nuclear war is probably our biggest threat, and this is something I should really work on. So, I dug into it. But as I looked around, I would go to these conferences, and I would see – there’s a lot of wealthy, powerful people who are working on this problem because you know they’re self-interested. It affects us all. It’s going to affect rich and poor. So, I thought, it’s very important – nuclear disarmament – I very much believe in it. But I should take my skills and talents and invest in an area where I’m going to have more impact, and that’s when I became really attracted to thinking about issues of poverty and: what is the evidence base? What are the solutions that work for something like poverty? Denver: And you were volunteering at Watts out in LA, weren’t you? Jacquelline: Yes. I was going to UCLA. I was volunteering at Watts at a community center. Denver: Part of this may have been influenced by your faith because you grew up in a very loving and moral family, but not a particularly religious one, and you found Christianity as a teenager. Tell us about that. Jacquelline: That’s right. I grew up at West Point, the Military Academy. The cadets there would lead a Sunday school. I started going to that because my parents thought: that’s a nice, moral influence on you. So I think the original seeds were there. I was a part of Young Life as a teenager, as was my husband, and I think was just really struck by the relationships there. Having adults who taught me about the love of Jesus and also invested in me, really cared for me in a deep way. So, that was the beginnings of my faith. Denver: You knew God loved the poor and wanted to do something about that. Jacquelline: That’s the thing. I became a Christian at 16 years old, and I thought I should read the Bible. I started in Genesis and got really bogged down in Leviticus, and it was a slog, and I just read it from beginning to end. The biggest takeaway I had is that God desperately, desperately loves his people, and he especially loves the poor, and calls us all to think about the oppressed, the foreigner, and that we are responsible for creating communities that include everyone. Denver: If you were going to be concerned about the poor, you couldn’t find a much better place than the Gates Foundation, which was founded back in 2000. How you went about landing that job, Jacquelline, is a story unto itself. Also, tells us a lot about you. Share that story with us. Jacquelline: The backdrop is that after college, I worked in the government for a couple of years. I got a Master’s degree from the Kennedy School at Harvard, but then I took a couple of years to be a mom home with babies. Then when I was going back, I had read an article where Bill Gates talked about what he was going to do with his philanthropy, and he said, “I’m going to give it to help the poorest of the poor.” And I thought, I’m sold! You need me. I want to help you, Bill. I want to help you. I’m your girl. So, it was just starting up at that time. It really didn’t have a presence. It was in stealth mode but from the article, it said that the office was above a pizza shop in Redmond, Washington. So, I drove out to Redmond, Washington, and drove around to all the pizza shops to look for the ones with offices above them. That narrowed it down to a couple. Then I went and looked at the mailboxes at the bottom; sort of through process of elimination; it’s not the dentist. It’s that mailbox; and I would go down there every day, and I would put in my resume and cover letter explaining how I could help them and why they needed to hire me. And they would email me back the rejections. Day after day, day after day, day after day. Denver: So you probably re-did your resume, right? Jacquelline: Yes, I re-did my resume. You don’t need an M&E specialist, but what you really need is advocacy. So, I tried different things. Then finally… this is a true story, Jack Ferris he was one of the early employees got back to me and said, “I will meet with you for 15 minutes at Starbucks if you promise you will never bother us again.” I was like,” I’ve got a chance!” He ended up hiring me. One thing I really admire about Bill and Melinda Gates is that they take their philanthropy very seriously. They don’t want to just hire an apparatus and tell them to run with it. They really wanted to inform themselves…So, we would talk to everyone in the chain. We would talk to people in the community and really do that first-hand learning. Denver: They were hands-on philanthropists, weren’t they– Bill and Melinda Gates; and you helped organize some of their trips to the developing world. Any of them particularly memorable? So, I helped organize those trips– learning trips, advocacy trips; and when we would go, they would very much – we would need to often meet with the Head of State, with the Minister of Health, and all that… which were important meetings. But they also wanted to make sure, “I want to meet with the community health nurse in the clinic in Soweto, and I want to listen to her about immunization rates. I want to understand what she thinks.” So, we would talk to everyone in the chain. We would talk to people in the community and really do that first-hand learning. Denver: Then you ended up living in India for a year, right? Jacquelline: That’s right. I got hooked. Actually, I went with Bill Gates on his first trip ever into…we went to a slum clinic actually, in India – in Delhi. It’s ironic that I ended moving back there with my family in 2004, 2005. If you look at all of the giving in America right now, it’s north of $400 billion. But if you ask the question: What percent of that is coming from our companies? Our corporations? It’s less than 5%. I think this area of corporate philanthropy was really interesting for me. I thought, maybe it’s an area where we could increase not only the amount being given, but also the seriousness of purpose and the outcomes. Denver: If you care about philanthropy, working for the Bill and Melinda Gates Foundation is a pretty sweet place to be. You can really have some significant impact. What motivated you to move from there over to the world of corporate philanthropy? Jacquelline: One of the things that I had seen with Bill and Melinda Gates is that they have been able to really lift the level and quality of philanthropy in the sense that they both wrote bigger checks, which is what most people talked about. But they also had a very deep and consistent seriousness of purpose. They were a learning machine. They wanted to learn how to do better, be really thoughtful about outcomes. I was really struck; if you look at all of the giving in America right now, it’s north of $400 billion. But if you ask the question: What percent of that is coming from our companies? Our corporations? It’s less than 5%. Denver: Most people don’t realize that. Jacquelline: Five percent! Larry Page, one of the founders of Google, has said, “Most people will spend most of their time working for a company. So, if you think about how we’re spending our time and our days, and you talk to people, they really want to be part of an enterprise that is making a difference in the world, that’s doing good.” So, I think this area of corporate philanthropy was really interesting for me. I thought, maybe it’s an area where we could increase not only the amount being given, but also the seriousness of purpose and the outcomes. Denver: This seriousness of purpose was there from the very outset, wasn’t it? It was baked into the DNA of the company. Jacquelline: That’s right. Larry and Sergey, when they founded Google, they came straight from graduate school. They were a couple of PhD students at Stanford. They had never really worked for a company, either of them. So when they were thinking about – What’s the company I want to create? What’s important to us about our culture? Part of that was building philanthropy in from the beginning. Before the company went public, in their Letter from the Founders, they said “We want to give 1% of our net profit to philanthropy, to Google.org. Denver: That’s pretty brazen when you’ve got no profit. …when you’re talking about corporate philanthropy, you have something that the Gates Foundation doesn’t. The Gates Foundation is the private money of Bill and Melinda Gates. But when you’re talking about a company, you’re talking about your employees. You’re talking about your supply chain. You’re talking about your brand and your reach. There are so many different aspects and assets that you can bring to the table. Denver: Let me ask you this, just as an aside, if every company today gave 1% of net profits to philanthropy, how much more would that add to that $400 billion pie? Jacquelline: In the US alone, it’d be north of $60 billion. Real money. And if you think… look, I think when you’re talking about corporate philanthropy, you have something that the Gates Foundation doesn’t. The Gates Foundation is the private money of Bill and Melinda Gates. But when you’re talking about a company, you’re talking about your employees. You’re talking about your supply chain. You’re talking about your brand and your reach. There are so many different aspects and assets that you can bring to the table. Denver: Yeah, the products and everything else. It’s just amazing. Well, they also said that they wanted to be an unconventional company. I suspect that intention also carried over to its philanthropy. Let me ask you, how do you think Google.org is unconventional? Jacquelline: As Google.org, we very much have the culture of Google, which means that we are a”launch and iterate” kind of operation. The idea there in Silicon Valley being that you gather the best data that you can, you make informed, evidence-based decisions. But then you try things, and you pivot; you try things, and you pivot; and you measure your results. You’re transparent about those outcomes, and then you try new things. So, that’s really the approach that .org took from the beginning. I would say another way that we really reflect Google is that as an engineering company, our strength is in technology. So we try to think about how can we lean into technology and innovation because it’s an area a lot of funders lean out of. Denver: Let me ask you this on that ”launch and iterate,” which is so refreshing in so many ways, particularly when you contrast it with the world of philanthropy: does that ever get a little challenging so that you don’t stick with anything for a long time, or you just keep on moving and moving and moving? Jacquelline: Definitely. “Launch and iterate” can help bring more innovation and more informed risk. The danger is, we’re talking about human lives. So, we don’t want to be experimental to the point that it’s detrimental either. On the consistency thing as well, recently Google as a company took a step back and looked at all of our social impact work across the board, not just Google.org, but things that are going on on some of our product teams and whatnot, and thought, “Where are some areas we can really double down over several years?” That’s where the kinds of things that came to the surface, where we have deep, deep values and alignment, and maybe some strengths, are things like education, economic empowerment, inclusion, responding to crises very quickly. Those were areas that came to the surface for us. No one cares about levels. There’s some truth to that. We’re not very hierarchical. Everyone will always want to know: What’s your evidence, your data for something. So, if you have an opinion, that’s great. Voice it. Be prepared to back it up with data. Denver: How are decisions made at Google? Jacquelline: I can speak to Google.org. Google’s culture, I will say, is very collaborative. I was told as I was coming in, “You’re going to be a level whatever, but don’t worry. No one cares about levels.” There’s some truth to that. We’re not very hierarchical. Everyone will always want to know: What’s your evidence, your data for something. So, if you have an opinion, that’s great. Voice it. Be prepared to back it up with data. Denver: You talked about the employees. How does Google.org look at their employees? Do you look for a cadre of them to dedicate themselves to the nonprofit arm? Or do you tap into those employees where they are and bring them in as needed? 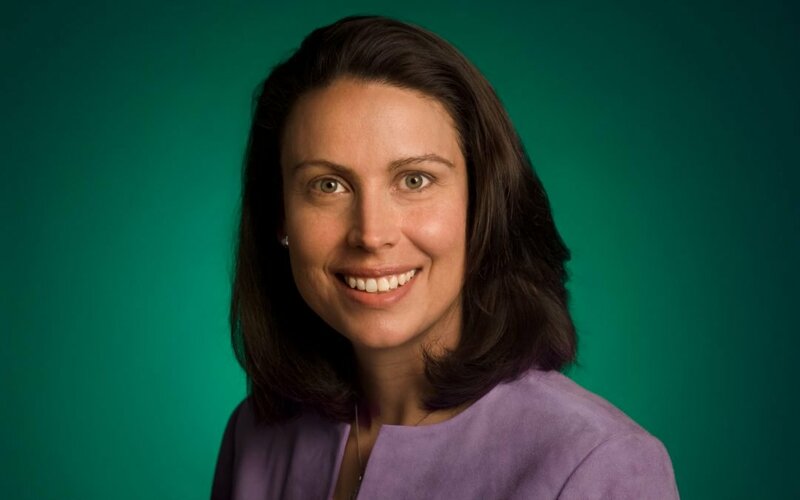 Jacquelline: Our business model is to think of Google.org as a very small, agile, central team that helps to leverage our core strengths, which is number one, our 80,000 employees. 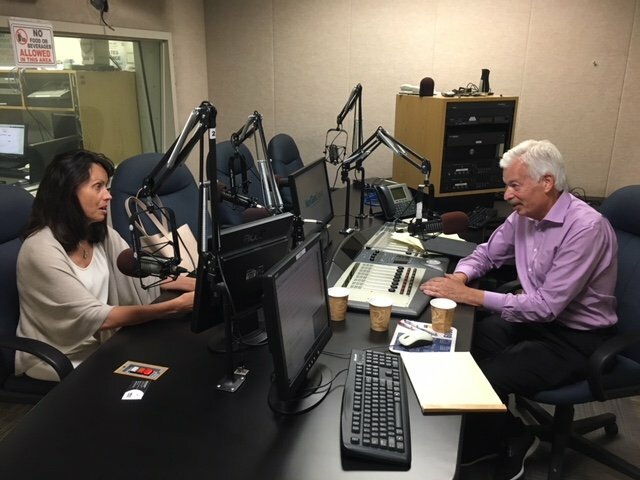 How can we, if we think about an area that we want to work on– say criminal justice reform– and we think: we absolutely want to invest resources to provide the oxygen that these innovators need, but how can we also bring alongside our Googlers, our employees, and especially those who have specific skill sets needed by these teams to operationalize their solutions? Denver: Let’s talk a little bit about what you just said a moment ago, about taking a step back because your CEO made a big announcement last year. It’s a billion dollars over five years. It’s one million hours of volunteer time, and there are three major components to that. Just touch on each one of them and maybe some of the work you’re doing in those areas. Jacquelline: Sundar, our CEO, is very personally motivated for us to do philanthropy as Google.org and as a company. He has really led the charge for us to think about: let’s make multi-year commitments. Let’s really look into the future and pick a few areas and stick with them. So, the billion-dollar commitment was really around education and economic opportunity in particular in thinking about: How do we serve anyone who’s been left behind– the most disadvantaged populations– and really help prepare people for the future of work? The million hours is really thinking about, Okay for our employees, we have things like GoogleServe, which is where teams can all go out and volunteer together in the community. That is a great practice. A good percentage of our employees participate in that. How can we take the step beyond that even and commit more in-depth, immersion-type experiences? Denver: Let’s take one of those: the future of work. I guess by 2020, which is only two years away, about a third of people in the workforce will not have the required skills to get a job. That’s a freight train coming down. What are some of the things you’re doing in that arena? Jacquelline: When we look at the future of work and look at the data, what’s very clear is that we’re going to have job changes. More importantly, we’re going to have a skills-mix change. What that means is that all of us, both students coming up and those of us in employment right now, we really need to think about life as lifelong learners and to really be able to take advantage of upskilling, so that we’re prepared for where the job market is headed. We have looked at a few areas where we, as Google, can help, in particular, digital skills training. The company has started a program called Grow with Google. I was just in Reno, Nevada which is where my heritage is: five generations; grandparents, cousins, everyone. What we’re really looking at is how can we help with online learning, which is accessible to anyone for people to upgrade their skills, whether it’s just very basic digital literacy; getting to know computers, getting to know basic spreadsheets, or whether that’s more advanced – computer science and thinking about things like becoming an IT support professional, for example. Inclusion and diversity is something that really undergirds every area that we focus on. For example, as we were thinking about skills changes, and we’re thinking about the future of work, and we’re looking at the data, we always want to ask – Who’s going to be disproportionately impacted? And who’s the most vulnerable? When you ask those kinds of questions in America, for example, you see that people of color, people in rural areas, sometimes women; you see definite patterns in terms of who’s most vulnerable. Denver: You listen to your Googlers, and they’re not hesitant to speak out. One of the areas that they were particularly interested in is the one where you’re using data science and coming up with innovative approaches to advance inclusion and justice for all. Tell us about that area and where you think you can make a unique contribution. Jacquelline: Inclusion and diversity is something that really undergirds every area that we focus on. For example, as we were thinking about skills changes, and we’re thinking about the future of work, and we’re looking at the data, we always want to ask – Who’s going to be disproportionately impacted? And who’s the most vulnerable? When you ask those kinds of questions in America, for example, you see that people of color, people in rural areas, sometimes women; you see definite patterns in terms of who’s most vulnerable. So as you think then about the solutions, you want to ask: What’s the evidence in terms of programs that are helpful in reaching those who are most disadvantaged? So, we want to really lean into those and provide more support. Just as an example, one of the things that we’ve all learned– all of us who support online education, online job skills training– one of the first things that you notice is that those who actually complete are the ones who need it the least. So, the more social capital you have, the higher up on the SES food chain you are, the more likely you’re to complete. So, we have to ask ourselves: What kind of wrap-around services and other approaches and support services are needed to help all learners to get to that completion point? Some of our grantees have been very thoughtful about how to do that. Denver: You, of course, help nonprofits on the frontlines of global crises, both through your funding and through your volunteers. One example of that that pops to mind is a partnership you had with UNICEF around Zika. What were you able to achieve there? Jacquelline: UNICEF has been a long and steady partner of ours. Really appreciate all the work that they’re doing globally. When Zika came up, UNICEF came to us and said, “We would appreciate resources of course because while the engines of government will eventually get there and provide the serious, big ongoing funding, we need some lightning funds here. Also and more importantly, could you help us, could you send us some data scientists? Could you help us to analyze some of the information to understand – where is Zika actually most prevalent right now, and where is it headed?” So, we sent a team of engineers to look at the data and to understand: Where is it now? Where is it headed? Where do we need to put our defenses? Denver: One other thing I wanted to ask you about is this Google Impact Challenge. You can tuck these challenges all over the world. Tell us the idea behind it. Jacquelline: When you think about philanthropy, there’s a few models. One is the proactive, strategic, consultant model, and we do that with a lot of our work. For example, in criminal justice reform, we will go out and do a landscape analysis and understand who’s doing what and then think about what’s the overlay with: what’s the most promising, and where Google might have a particular advantage to come alongside a group. That’s in our proactive funding. We also want to make sure that occasionally, our model is just pretty wide open, where we go to a location, and we just say, “Tell us how you would use innovation and, say $500,000, to really change the world? We do these impact challenges in places where we have Google offices, the places where our employees live and work. We have found a lot of our ongoing partners through these impact challenges. Denver: I know you were always taught about humility in philanthropy, and that’s really a humble approach, that we don’t have all the answers. Maybe you have an answer that we haven’t thought about, and that we can help run with. What’s the impact of Google.org on Google and the employees? How does it change the morale, the recruitment, the retention? What does it mean to the company… because you’re doing some really interesting and fascinating things. Jacquelline: I think of it as almost like a biofeedback loop, where I think we look at data, and I see this going out to all the CEOs out there and COOs out there. We looked at our data of our top talent, the kinds of folks that we were really trying to recruit, and asking them: Why did you choose Google over some of the alternatives? One of the top things that comes back is, Google.org and the sense that Google has a mission and that I can participate in that. Then we looked at our retention statistics, of our strongest employees – same thing. This is interesting. It’s true even for those employees who haven’t yet volunteered or taken part in a project, but even knowing that it’s there and that they have the opportunity at the right time, the right season to do that. So, I think that that’s one way that we help contribute to the company. I think the way that Google as a company makes Google.org different from, say, just a traditional funder is that we can really think about: What are the strengths of the company, and how can we leverage that? I’ll give you one quick example. When the refugee crisis happened in Europe a few years back. We saw just a million immigrants coming through, and thinking about quick reactions, we were able to go out and use our platforms to say, “Hey, we would like to help groups like UNICEF and others with just very quick response humanitarian response,” and we opened that up to the public to do a matching campaign, and we were able to raise tens of millions of dollars for partners like the IRC, or like UNICEF to help with just immediate humanitarian needs. Denver: You also matched the contributions of your employees, correct? Jacquelline: That’s right. All of our employees get $6,000 that we match. We also give additional match in things like crisis response. Denver: That’s like $50 million or something like that. Jacquelline: Well north of that, actually. Denver: Picking up on the workplace, you’re recognized as a great place to work. Jacquelline. How do you think of the corporate culture at Google? And is there anything that you do specifically at Google.org to help shape and influence that culture? Jacquelline: I think one of the things we pride ourselves on at Google is that we’re an innovation culture. So, we want to make sure that Google.org is also innovative. Part of that is thinking about making sure that we’re looking at data and evidence for the solutions that we’re supporting, and then contributing that data and evidence back to the field. For example, a grantee like Give Directly, who I know you’ve had on the show; we really like them, both because of the work that they’re doing in terms of getting resources into the hands of the poor with very low transaction fees, but also because of their transparency. That culture of transparency, that culture of data and evidence that they have is very similar to Google’s culture. I don’t think the way that Google.org does things is the way that every company should do things. Our philosophy is that every company should think about: Who are we as a company? What are our deepest values? What are the issues that we care about that are really aligned with our strengths? What is something that unites our employees? Let me close with this Jacquelline. Google significantly influences so many things that we do, we look at. A lot of it has to do because of all the company’s achieved, the innovations you’ve pioneered, the respect it commands. When it comes to corporate philanthropy, how do you believe Google.org has influenced the field? Jacquelline: I think it’s pretty early days to say whether we’ve had an influence. One of the things that we think about is that 5% of companies contributing to the $400 billion that’s privately given, and how do we increase that. I don’t think the way that Google.org does things is the way that every company should do things. Our philosophy is that every company should think about: Who are we as a company? What are our deepest values? What are the issues that we care about that are really aligned with our strengths? What is something that unites our employees? And what kind of assets do we bring to the table? Is it our supply chain? Is it our advertising? Is it our voice? Is it our employees getting out into the community? Do we have resources? I think if anything, what we’d like to contribute is to this movement among companies who are asking those questions and thinking: How can we bring the best of who we are as Google… or whatever company… to help take on some of these big human challenges? Denver: Authenticity, it sounds like, as to who you are. Jacquelline Fuller, the President of Google.org, I want to thank you so much for being here this evening. Tell us about your website and some of the information that you think a visitor might find to be of particular interest? Jacquelline: We are not surprisingly found at Google.org. Our website contains information about some of the topics we take on, whether that’s education or computer science and diversity. You can also learn about digital skills training. You can go to the Grow with Google side if you’re interested in upgrading your own personal skills and interested in online training. We also have these impact challenges occasionally that are open. So, you can check out that page to see if there’s something going on in the places where you live. Denver: Thanks, Jacquelline. It was a real pleasure to have you on the show.